I’m excited to officially announce the launch of Penny Lash. As many of you know, I have started my own lash salon near downtown Bend, Oregon, on NW Hill St. In addition to myself, lash artists Kindra and Sarah join the Penny Lash team. We hit the ground running in our new location earlier this winter and are excited about the launch of our new website. As an esthetician and makeup artist, I have enjoyed a lot of success and gained experience in the beauty industry. It is my goal, to not only stylize the eyes of women throughout Central Oregon, but also to inspire confidence and community. At Penny Lash, we’re a community of women supporting and uplifting women. On my journey to open Penny Lash, I got my start at the Aveda Institute in Minneapolis, MN, in 1994. I relocated to Bend in 1997 and started professionally applying eyelash extensions in 2011. I’ve worked in amazing salons in Bend and am thrilled to bring together other talented lash artists in one location. One of my passions comes in sharing my knowledge and my trade with aspiring lash artists. Penny Lash is home to Penny Lash Academy, where you can participate in eyelash extension training courses. In addition to beautifying Bend, we’re helping educate others to do just that. With this blog comes the launch of pennylash.com. View samples of our work, find out the answers to our most frequently asked questions, and book appointments online. We worked with the girls at Bend’s newest digital marketing agency, New Colony Digital, to create our space online, New Colony Digital, to create our space online. Keep your eye on us. We’ve got big plans for beautifying this city from the outside in. We believe in supporting and uplifting women and can’t wait for you to join the revolution. 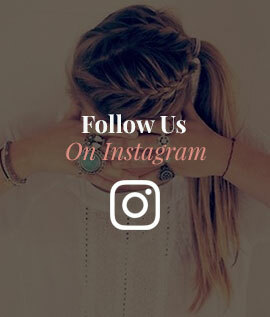 Follow our blog, Lashbed Confessionals, for industry news, beauty tips, specials and confessionals from current clients. Be sure to follow @penny_lash on Instagram for the latest and greatest from Penny Lash.